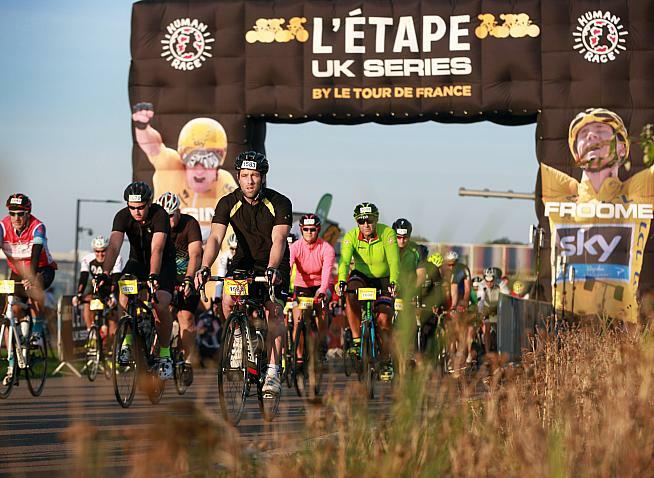 Entries are now open for L'Etape UK, the official UK sportive of the Tour de France, which takes place on Sunday 14th July 2019. Entries are now open for L'Etape UK 2019 - now with clean air and extra greenery. As we reported last week, this year's L'Etape UK is following the trend and relocating out of London to the countryside. The event will replace the popular Chiltern 100 Cycling Festival, with headquarters at Penn House and a choice of three courses in the bucolic surrounds of the Chiltern Hills. Choose from 161km, 109km and 52km routes and pit yourself against your fellow riders - and gravity - on the timed King and Queen of the Mountain challenge. Back at Penn House a festive atmosphere will reign, with live big-screen coverage of stage 9 of the Tour de France, a French food market, and entertainment including stunt bike displays, ensuring a fun-packed day for cycling fans. If that sounds like your kind of day out, head over to the event website to sign up. Register by 23 January and you can get 10% off the entry price - simply use the code ASOLEU19 when booking.